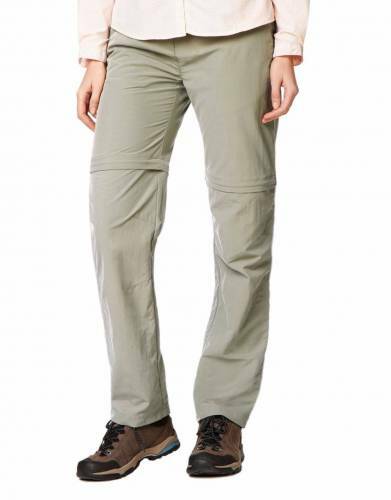 When luggage space is at a premium, these handy convertible trousers can be instantly converted into shorts by zipping off the trouser legs, allowing for true outdoor convenience and easy packing. 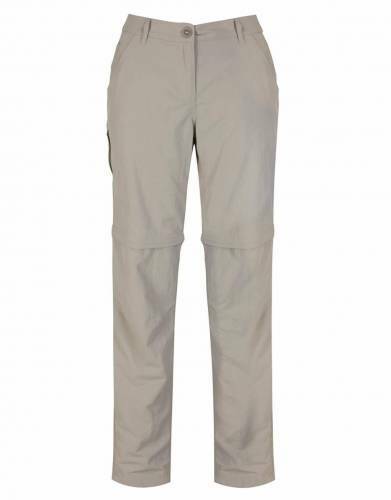 These Nosilife convertible trousers are a great choice for versatility - especially in warm weather destinations. When the early mornings are chilly, start the day in trousers and zip off the legs to transform your trousers to shorts as the day warms up - and switch back to trousers if you need to during the evening. This innovative design makes for travel convenience when packing your suitcase and during your outdoor travels. 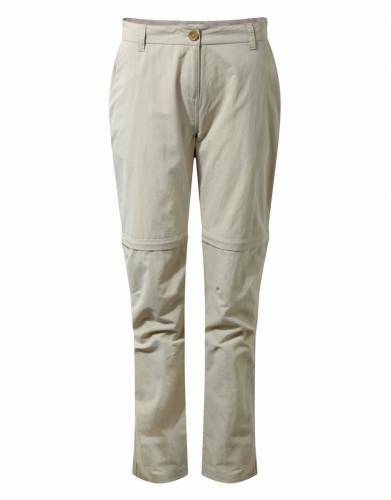 The insect repellent fabric of these trousers reduces your chances of getting bitten by insects - making them a great choice on safari. Originally developed for use against dust mites in hospitals and bedding products around the world, this technology is now used for protection in clothing - making functional travel items to assist with your enjoyment of the outdoors. The fabric also has built in UPF40+ sun protection and moisture wicking capabilities for added comfort in the heat of the day. Its anti-bacterial properties also combat odours and keep your trousers fresher for longer. Their easy care attributes mean they wash and dry quickly with minimal creasing. With five pockets in total, you will have enough space for extra sunscreen, insect repellent, pens, and small notebooks. When converting your cargo trousers into shorts, the 8" shorts have two pockets for easy style simplicity. *Please do not assume your size – always check the size guide. ⊙ MATERIAL: Made from 100% Polyamide insect-repellent fabric. Three easy steps to ordering the right size: ⊙ With so many different brands from all over the world available on the high street and online, the only way to get your size right the first time round is to compare a garment you own and which fits you well with one of our garments. STEP 1: ⊙ You will need a measuring tape, a flat surface such as a table, a notepad to record your garment's measurements - and your own pair of trousers which are a comfortable fit. ⊙ Tip: If you do not have a measuring tape, use your credit card. The long side of a credit card measures 8.5cm and the short side is 5.4cm. Simply use the centimetre measurements on our chart and divide by 8.5cm to get an idea of how many credit card lengths equals the measurement you are recording. STEP 2: Referring to the images above, place your trousers flat on the table and record the following measurements: ⊙ Full Waistband (Relaxed) - Across the top of the waistband from corner to corner, multiplied by 2 to get the full waist; ⊙ Front Rise - From the top of the front waistband to the crotch; ⊙ Inside Leg - From the crotch to the bottom of the hem on the trouser leg. STEP 3: Compare your measurements with our size chart and order the size closest to your measurements.Waist is usually the most important measurement if you are in a hurry, but checking all three will make for the most comfortable fit.